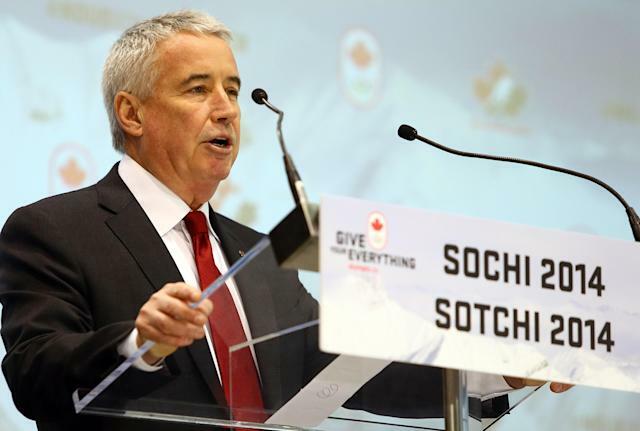 Bob Nicholson stepping down as Hockey Canada boss; could he take over IIHF? There’s always a sense that Canada’s international hockey aspirations are “gold or bust” but it’s Bob Nicholson that made it an organization-wide mantra for Hockey Canada. "When I started and the [Canadian Olympic Committee] talked about personal bests and just ‘going over there to enjoy it,’ and I had a real problem buying in to that," he told the Winnipeg Free Press this year. "Hearing what they say now, it’s the only way to look at it. All of the Canadian athletes have prepared so hard. Hey, shoot for that medal. For some it might be a bit of a stretch but if you have a gold medal performance, you’ll end up where you should be." Nicholson is ending his run as president and CEO of Hockey Canada, according to TSN, a job he’s held formally since 1998. Before that he was the senior VP of the Canadian Hockey Association from 1992-98; basically, his stamp has been on all levels of Canadian hockey for over 20 years. In that time, Hockey Canada’s won around 70 medals internationally, including seven Olympic golds between the men and then women. Sportsnet is reporting that travel was a consideration in his stepping down, but there’s going to be immediate speculation as to what the 60-year-old Nicholson wants to do next. He’s a VP with the International Ice Hockey Federation, and The Hockey News has been speculating since 2012 that Nicholson would be in line to replace Rene Fasel as IIHF president, becoming the first Canadian in over 50 years to run that show. Considering the relationship between Nicholson and the NHL, that would certainly make things interesting from a “sweetening the pot for future participation” perspective. But let’s not get ahead of ourselves. As for Nicholson’s replacement, Darren Dreger puts forth Hockey Canada COO Scott Smith as a potential frontrunner, as he’s been there for 17 years.